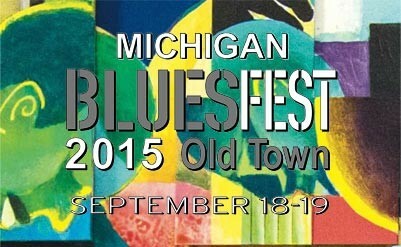 Michigan BluesFest 2015 (previously known as the Old Town BluesFest) is a free, two-day music festival drawing national, regional, and local blues talent – not to mention around 7,000 blues fans – to Lansing, MI on September 18th and 19th, 2015. Where will you be? The 2015 Michigan BluesFest will take place in the streets of Lansing’s Old Town district, with festival vendors offering a great variety of delicious food and drink, clothing and crafts, jewelry and more. Capital City’s Old Town is known for both its grand architecture and the many galleries and unique boutiques that populate its retail spaces, most of which will be open and offering their singular wares during festival hours.